Hope you are all doing well and are having a fabulous Monday so far! I have been planning this post since before Christmas but for some reason everything got in the way and it never made it on the blog until today. As you may know i had a weekend away to London a few weeks after my 21st Birthday in November. I had the most amazing time walking around London, going to Winter Wonderland and doing a spot of shopping. I couldn't resist stopping by Victoria's Secret whilst in London, we always stop by the VIP Angel Suit when we go. Whilst i was there i picked up a few bits and pieces for myself, some Christmas presents and also something for one of my lovely followers! I was saving this giveaway for a rainy day (no pun intended haha) and i thought what better way to fix the Monday blues than something a little fun. I have got a 2000 follower giveaway planned already so fingers crossed in a few months i can show you all that too…I am so excited! I just wanted to host a small giveaway to celebrate, say thank you and give something back for the constant support i am getting from the bbloggers community. 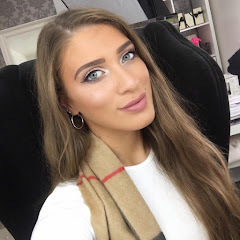 I have literally made so many amazing friends, discovered so many other bloggers, new products and managed to escape the stresses of reality and University right now through writing on my blog. Thank You!! What a cute and glamorous umbrella! Would definitely banish away the rainy days! Cute little umbrella to brighten up rainy days! I think your blog is perfect! You should continue introducing a new brands or products! Such a great giveaway! I love to see more reviews! 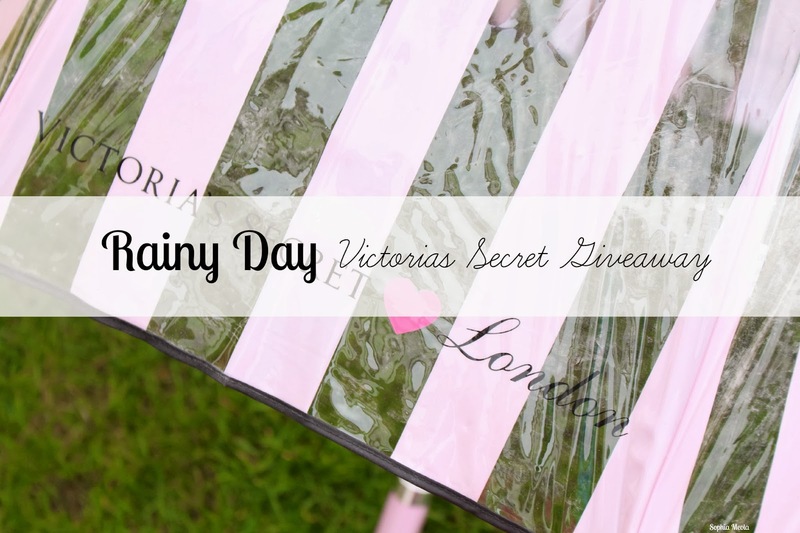 Oh my how have I missed this gorgeous Victoria Secrets umbrella before?! Such a cute giveaway, perfect day to enter when it's pouring down outside and I've got to brave it to walk the puppy. I'd love to see more reviews. I have just found your blog but you have reviewed some quality products! I always love reading hair styling product reviews, I love to style my hair but want to take great care of it too!! I like your reviews, and discount codes. Cute brolly, very apt too. I do think we've had enough rain for the moment. More fashion reviews of new designers. I love review posts but you do great ones anyway!! Such a cute umbrella! Oooh would love to win this, its gorgeous! 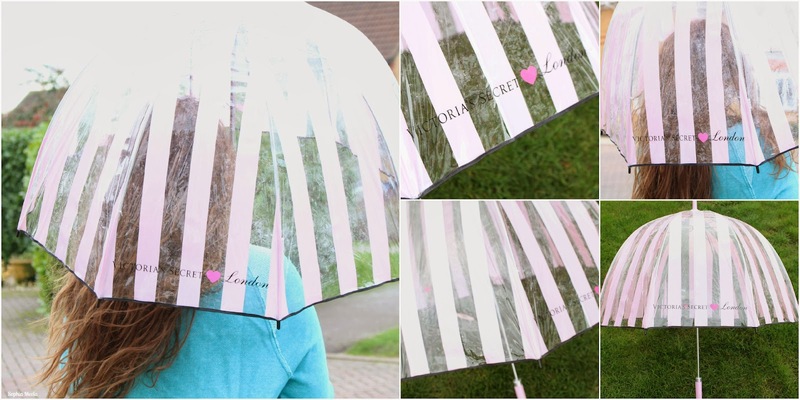 This umbrella is gorgeous! Perfect for the weather we've been having lately! Love your blog, i would love to see more product reviews. So informative and makes me want to buy more products, Love being a follower of yours.